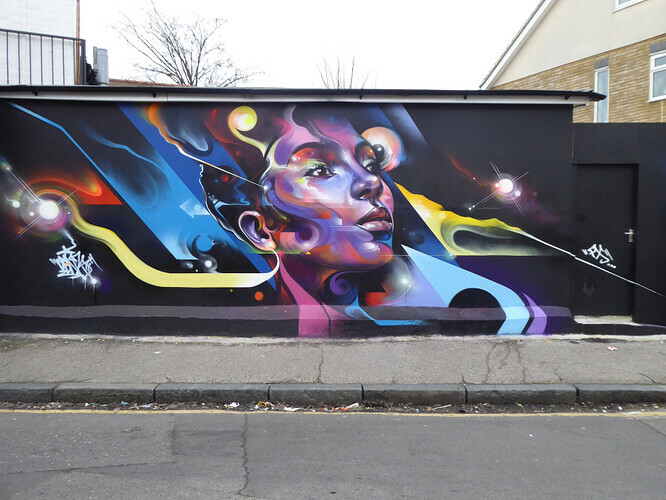 Work by Mr Cenz for the ‘ Bring It On Home’ Paint Jam. Work by Itaewon for the ‘ Bring It On Home’ Paint Jam. 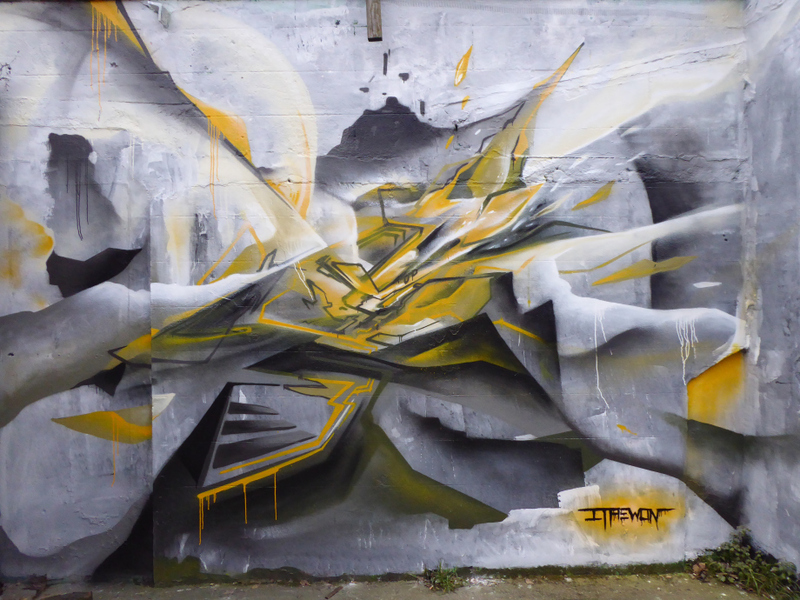 Work by Dotmasters for the ‘ Bring It On Home’ Paint Jam. Work by JXC for the ‘ Bring It On Home’ Paint Jam. Work by Ant Carver for the ‘ Bring It On Home’ Paint Jam. 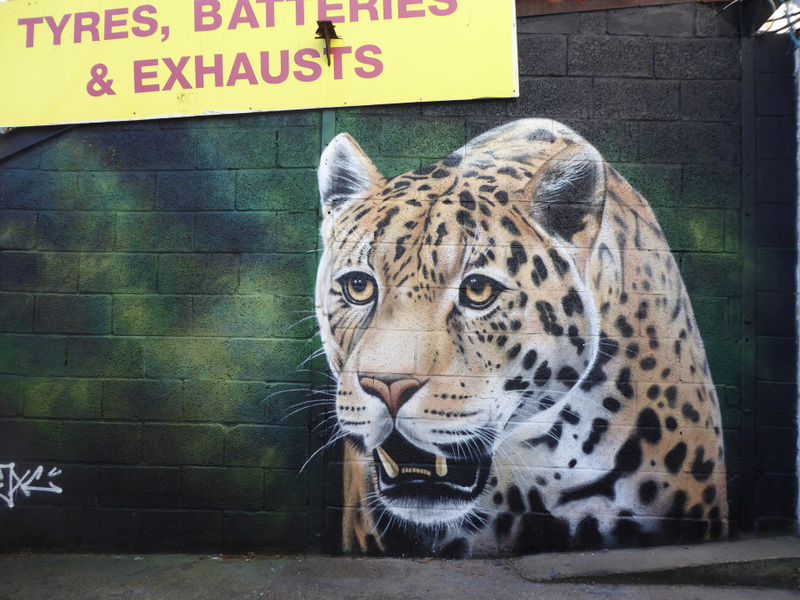 Work by Woskerski for the ‘ Bring It On Home’ Paint Jam. 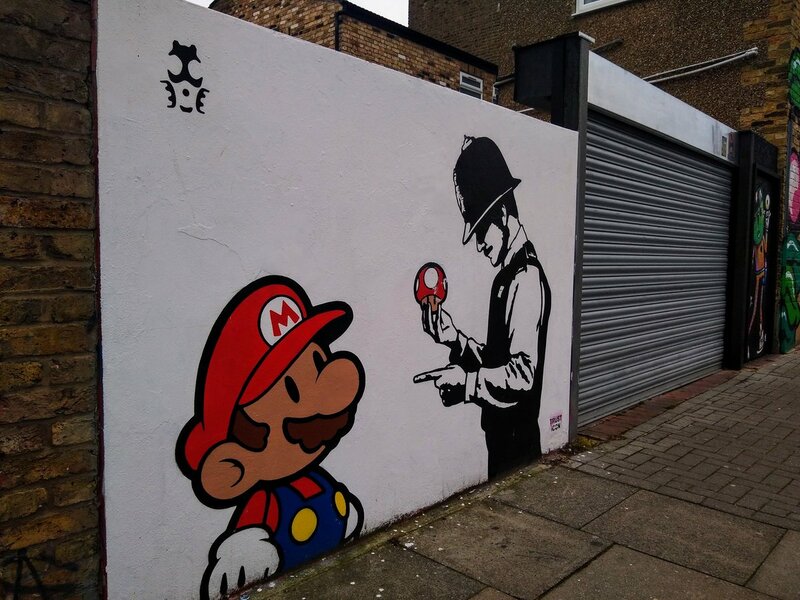 Have you spotted some street art that we missed? Please reply and share. 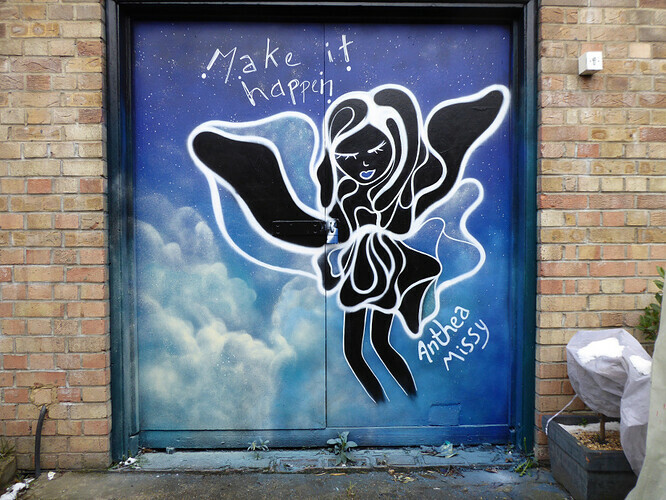 Scattered across SE20, on brick walls, shutters, doors and shop sides, is fantastic street art curated by artists for the SprayExbhition20 project. Anyone know why there seems to be lots of street art in Penge, honor oak and brockley but less in forest hill or Sydenham? My guess would be a mixture of the people who live in the area - whether that be those who are encouraging/actively wanting it or those who are acting as barriers against - as well as the general groups who promote the local area. For example - The “Penge Tourist Board”/business collective in Penge have struck up a relationship with “londoncalling” and other art projects and therefore have an ongoing working relationship which extends to artists doing things within the area both at big weekend events as well as random one-offs. 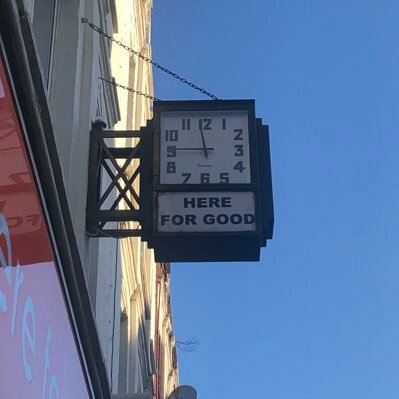 I also think it’s actually one of the big things Penge as a whole are pushing towards and therefore it’s likely high on its priority list/agenda for the area. In others like Sydenham and the foremost group, The Sydenham Society, the attitude towards art or the priorities for the area are different. That’s not to say more art couldn’t come in but I would reason why generally speaking there is a lot more in certain areas than others. I guess the makeup of sydsoc is quite different from PTB ? Presumably SS has been around a lot longer. Is there a way to encourage SS to work with londoncalling et al ? I have zero idea what Penge’s committee/make up is however I do know that they have essentially a traders union and Penge is currently a “BID” (Business Improvement District I think) which means that in part some of the bigger groups in the area are lead by those that have shops/money/time personally invested in the high street and want to do things to increase footfall, brighten up the area etc. I think they do some valuable work (see: The Greyhound. 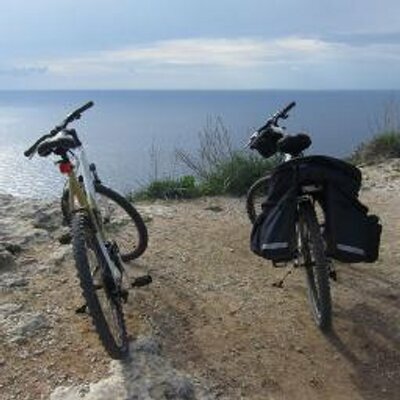 Although some items I personally feel are a bit narrow-minded/not functionally supporting the area as a whole) as well as spending their voluntary time on things (which you can’t knock!). But the fact remains I think, which I’ve said time and again that the society which does have a fair amount of clout with the council is not very representative of Sydenham as a whole from what I’ve experienced and do not represent the business owners or the very diverse and lovely community we live in. A easy example compared to Penge as would be:- Penge recently had an “Anythingbetterthanablankwall” weekend art splash which lead to loads of new art covering old stuff as well as new art across empty walls in the area. On the other hand, in Sydenham, Nando’s had to go through multiple planning permissions due to complaints that their branding was too loud/bright/brash and supposedly didn’t fit in with the “conservation area” (or maybe generally the area) - which i dont get at all personally especially with the Sainsbury’s and other shopfronts around it. Whether that was the council, Sydenham Society or both, it’s a nice example I think of the polar opposite standing of those “representing” the community. Just to add on the other thing I personally don’t understand is that some of the main priorities from a meeting I went to last year was to brighten up the high street/increase footfall etc but yet some of the things that happen in reality are almost the opposite - e.g: Nando’s branding. Yes that seems to be my impression too. Eloquently put though it would be nice to validate some of the assumptions. I wonder if anyone else can chime in. Would there be value/opportunity/viability in setting up a Sydenham Tourist Board as an adjunct to SydSoc ? I saw this post and thank you for the positive comments,about the project we run in Penge and sharing the art as well as the links to our blog - which is how i found this converation. Anyway the reason there is so much street art in Brockley/Honour Oak is because that area won a competition through Londonist Magazine to host a funded street art festival which has now run annually for 4 years. As for Penge JMLF you have a few misconceptions about the project, which are to be expected. We are the ones actively encouraging the art in the area with the help of the talented and generous artists. This project is not run by the council or the local business association or the Penge Tourist Board - the latter two of which are very supportive of the project - this is a non-funded, non-profit project which has been facilitated entirely between ourselves, the individual space owners and the artists on a individual spot-by-spot basis. The project is not about financial gain and it is disappointing that people believe this project was initiated and maintained as part of some business plan to redevelop the town and bring more people to the shops. It’s great that the art achieves this but this project is about bringing art and creativity to the community for everyone to enjoy. Not for anyone to profit from - other than hopefully the deserving artists. The project has grown organically from a few businesses trusting us to add some creativity to the area, resulting in a steady expansion of people, business and residential, wishing to get involved and offering us more spaces for artists to work, resulting in the gallery that is now Penge. Something which has taken 3 years of hard work. Events like the recent Paint Jam are great for the town and certainly bring people from near and far to see the results, but they aren’t part of any town led initiative, it was on that occasion just to celebrate 4 years of our blog and a bit of fun and good way to keep things fresh and interesting. This project took off because the art is of such a high standard and more people wanted it, hasn’t been part of any planned or committee initiative to build to this point. We have put artists to each space based on what would work for the location and who would want to paint it. The best way to convince people in other towns is for them to see it which is tricky when trying to start out. Penge was skeptical at first, but now. We also now currently run projects with residents in Stockwell and Selhurst and like Penge we started with a few spots, people saw how good it was and gave us more spots to paint. If anyone can find a good wall for us to get painted in Sydenham, we are sure we can do it and subsequently get more people interested. 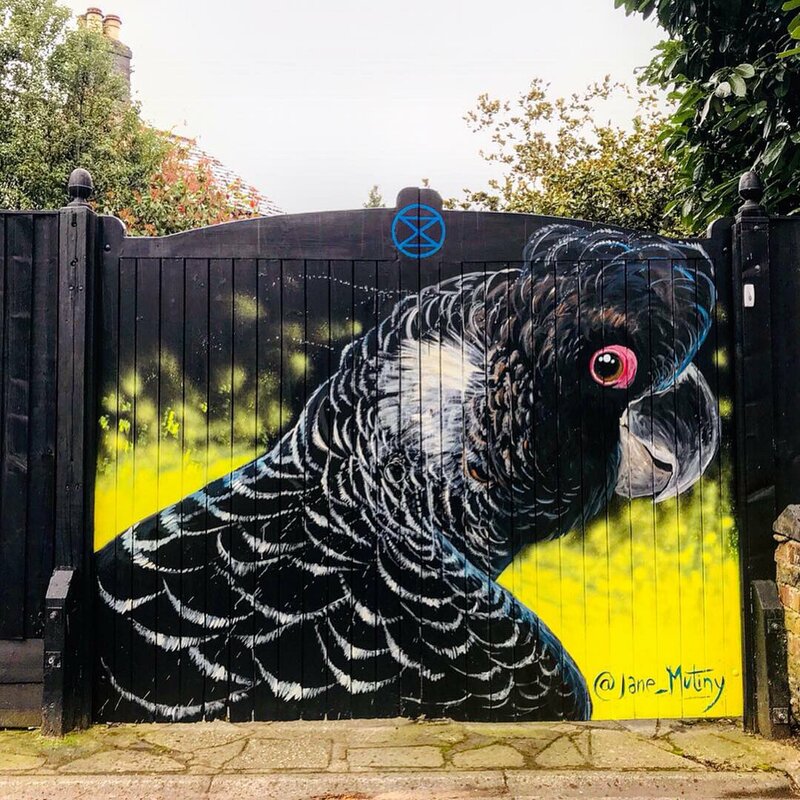 Additionally we organized the Parakeets by Aero on Newlands Park that you mention, your idea of how that wall came about JMLF is also a tad off. Thanks for the positive words about SprayExhibition20 in Penge. Apologies for the inaccuracies ! Although clearly I’ve not done my homework, and again I apologise for that (lesson learnt for future!) 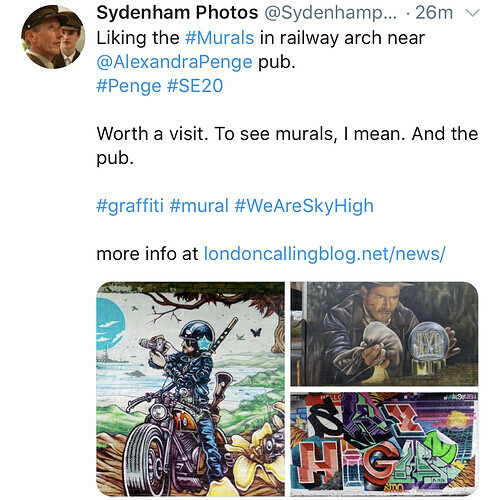 I think my wording of the Penge Tourist Board /BID speil might have caused a slight misunderstanding as I have always thought the projects/artwork were not for profit but I was trying to say there are lots of benefits to having the art around one being maybe increased recognition/footfall for the area. I can understand how that tied in with my inaccuracy of PTB/BID leading rather than supporting your good selves may have painted (excuse the pun) the wrong idea. Apologies again and a million thank-yous for posting a reply and continue your work/projects which personally I love and feel really does a lot for environments/communties. Not a problem JMLF, we know you were being appreciative of the art around Penge and are flattered that other towns are wanting to have some creativity injected about their area also. You are correct about the increased footfall/recognition for the area. 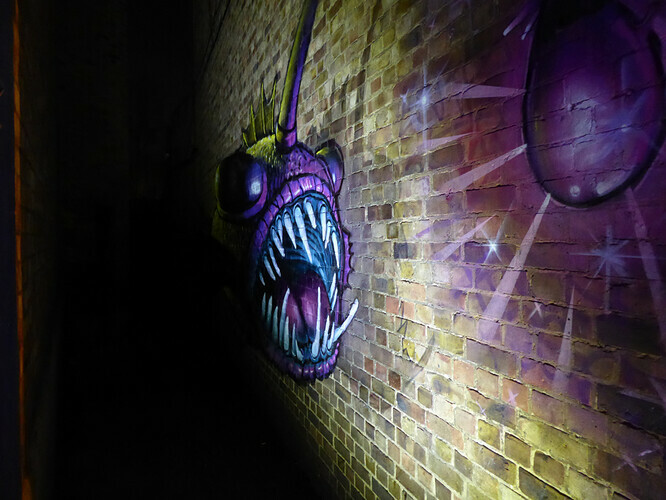 We are delighted to be say that Penge is gaining a reputation in London as a top place to see high quality street art. 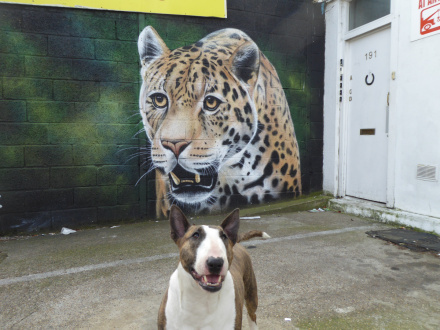 We have been contacted by, seen posts from or bumped into people from all over the world in Penge photographing the street art. 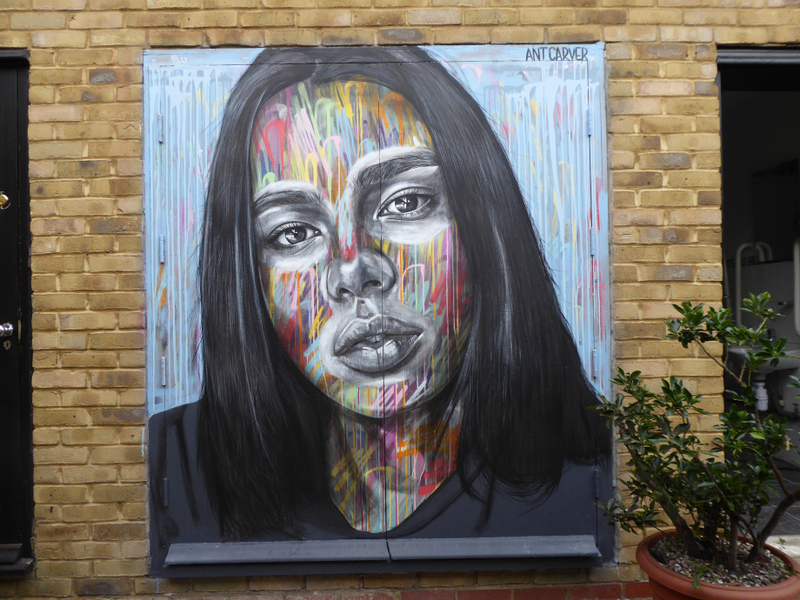 In addition to all the homegrown talent who have contributed artworks to Penge we have also now had artists visit from Colombia, Peru, South Africa, Canada, Spain, Belgium, Holland, Austria, Germany, Italy and Norway leave SE20 with art. It is testament to what giving something new a chance can bring. 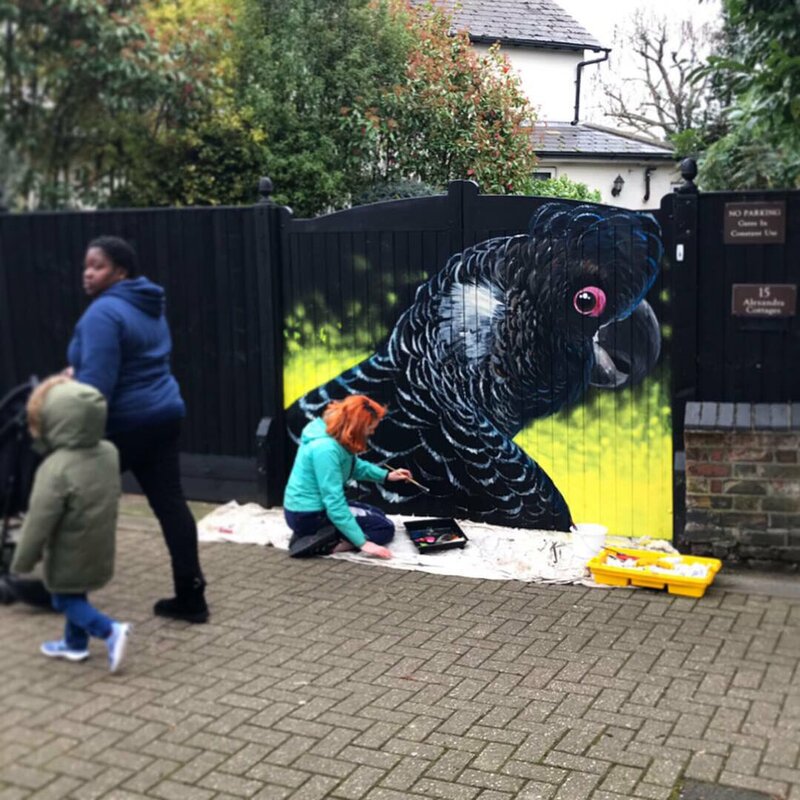 As for if anyone is interested in donating a public space big or small, business or residential, to be painted and they own it or have permission from the landlord they can email us at calinglondoninfo@gmail.com or message us on Instagram @LDN_Calling_Blog and we can discuss what is possible. 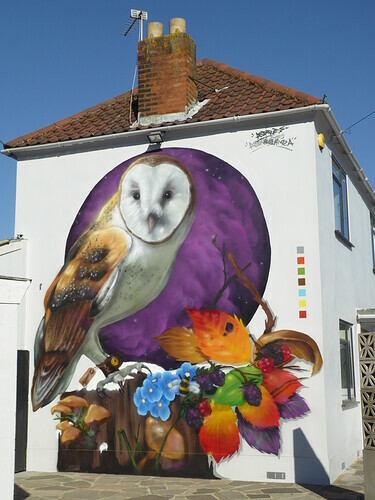 Recent public mural by Aspire placed up on a residents property in Penge. Wow that’s awesome can I get one too ! ?